In 1999, U.S. Rep. Nita Lowey, D-N.Y. proposed labeling laws for food allergens to protect people from dangerous allergens. The act became a law in 2004 and required products to be labeled if they contained or possibly came into contact with the “big 8″ most common allegens: milk, egg, peanuts, tree nuts, fish, shellfish, soy or wheat. Meanwhile, the term “gluten-free” was a source of controversy. Almost ten years later, the FDA has weighed in. Why did it take so long? Researchers had to figure out a safe level for people allergic to gluten, as well as those with celiac disease, who suffer from an auto-immune reaction when they consume gluten. Scientists determined that 20 parts per million of gluten or less can be labeled and marketed as gluten-free and that few people will react to such low levels. The labeling law doesn’t apply to alcoholic beverages — even beer, which often contains gluten. 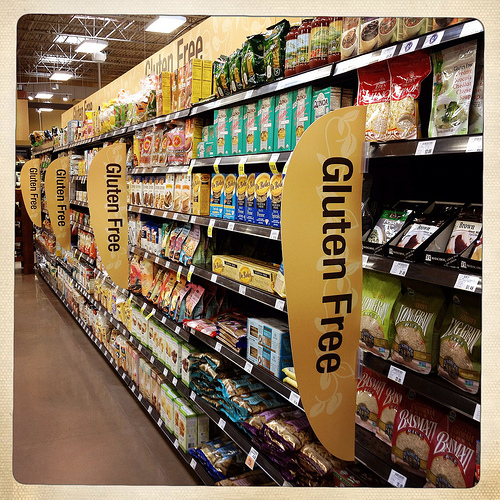 Any phrase other than “gluten-free” isn’t regulated this way. Testing is up to the manufacturer — the FDA doesn’t have the resources to do spot checks. We look forward to better choices for consumers come next August when the law goes into effect! Our Fruti bars are already gluten-free and will continue to comply with this updated regulation so feel free to enjoy as many of our delicious frozen fruit bars as you’d like, even if you have a gluten allergy.